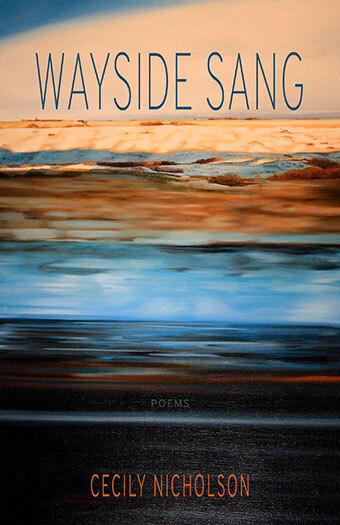 For Wayside Sang I set out to place myself in relation to my birth father’s history. A favourite bit of information that I have about him was that he was a travelling musician. It was in thinking on day jobs, however, and the static demands for artists called out on the road, that led me to study the automobile, its industry, roadways, and hospitality, through and beyond the region all my fathers have travelled. In concert I activated childhood memories of rural car exchange, gearhead brothers, mosport park camping, and so many escapes out on the road, on foot, as a passenger, and as a driver. These tracks I thought would give way to further study, to consider entwined migrations of black-other diaspora, to locate more of my african descent at this late stage, unmoored and mitigated as it may be. Where I cannot locate my bloodlines, I would honour others’ accounts. It seems obvious now that the scope of what I set out to do was in some ways far-reaching. Nicholson’s work has long been engaged in the book length poem/suite, but there is something about this new collection that holds itself together as a complex breath, constructed as a single, ongoing line. As she suggests in her “Afterword,” Wayside Sang is an exploration through geographic, historical and cultural space, attempting to discern something of her birth father, something the book’s press release reaffirms: “This is a poetic account of economy travel on North American roadways, across the Peace and Ambassador bridges and through the Fleetway tunnel, above and beneath rivers, between nation states. Nicholson reimagines the trajectories of her birth father and his labour as it criss-crossed these borders, in a study that engages the automobile object, its industry, roadways and hospitality, through and beyond the Great Lakes region.” Hers is both a real and imagined space of a lost parent, moving between the archive and the spaces he occupied, writing out automobile production, border crossings and the fossil fuel industry, writing: “low crude prices continue to take their toll / and we continue to live […]” (“Fossil Fuel Psyche”). As much as anything, Wayside Sang is a book of origins, as Nicholson attempts to hear those songs from the side of the road, exploring and critiquing the multiple facets of that space from which she emerged.